A couple of weeks ago, a resident at New York Methodist Hospital noticed that the overhead PA system didn't appear to be working properly in a couple of areas in the Emergency Department. He diligently logged that observation in KaiNexus to start the ball rolling on fixing it. Standardized work is a term that may be familiar to practitioners of a continuous improvement methodology such as Kaizen, Lean, or Six Sigma. Standardized work, sometimes called "standard work," is a written description of the most efficient and effective way known to complete a particular process or task safely with the highest quality outcome. When a standardized work process is used, variation is reduced and quality, delivery and cost measures (or KPIs) are improved. The same results are achieved, in the same amount of time, regardless of which employee completes the task. The advantages for business are plentiful, but implementing and maintaining standardized work initiatives takes structure and it’s important to get the details right. Engage the people who do the work in the standardized work development process. The documents should not be writen by engineers or outsiders, although they can be involved in the process. Document the existing process, but keep in mind opportunities to make improvements, when you identify differences in how the work is done or when somebody thinks of a better way. Keep standardized work as simple as possible and break each task down into its smallest component steps. In order to reduce variation, it is important that task details are not overlooked. Document the process to the appropriate level of detail. Not all variation causes problems in safety, quality, and other measures. 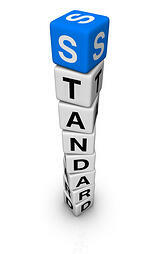 Make sure that standardized work documentation is easy to understand. Include diagrams, photos, examples or any other materials that will help visualize the instructions. Be sure that your standard work documentation is displayed in the workplace, in easily accessible location and that it is available at hand for those performing the work. Provide structure for improving the process. Don't just document the current method without trying to reduce variation or make it better. Think about standardized work creation as an event. It is a living process that should be continually refined and improved over time. Change procedures or processes without updating the standardized work. This is a common trap that negates the advantages of standard work. Don't think of standardized work as procedures that are stored in a centralized binder or database. Invent a complex procedure for changing standardized work. This leads to the above. Allow unnecesary variation from the standardized work. If the standardized work truly defines the best practice it should be performed the same way every time, to the level of detail specified. If it doesn’t define the best practice, it should be changed. Whether used together with a continuous improvement methodology or alone, standardized work can be a valuable practice that helps companies create frictionless business processes and achieve superior results.